Review Summary: Killa is a prime example of new wave Marathi cinema. An absolute watch! I can’t think of another film I saw recently that stayed with me like Killa has. 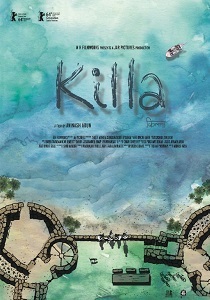 Killa is a prime example of new wave Marathi films, nationally and globally recognised as finer examples of Indian story telling. Let's hope the trend continues in Maharashtra. This is the kind of quality film that knows no age borders, though it’s easy to see why younger audiences would tune in. But because I am now unable to remember it more vividly, warts and all.